The city of Surabaya has some fascinating places here to explore. The Arab quarter is like a Middle Eastern medina - a warren of narrow lanes with stalls selling prayer beads next to perfume next to dates. Keep following the lanes to the Masjid Ampel, a historic mosque built in 1421. Surabaya also has one of Indonesia’s largest Chinatowns, Buddhist temples and a roster of impressive, though disintegrating, Dutch buildings. One, the House of Sampoerna, is now a unique clove museum, with women still hand-rolling the cigarettes; the cafe is a great place for authentic Indonesian cuisine in a historic setting. Just outside of the city, wander through the ruins of the former capital city of the ancient Majapahit Empire at the Trowulan Archaeological Site. The museum shows some of what has been found, artifacts from coins to pottery. And don’t forget to sample some Indonesian food. 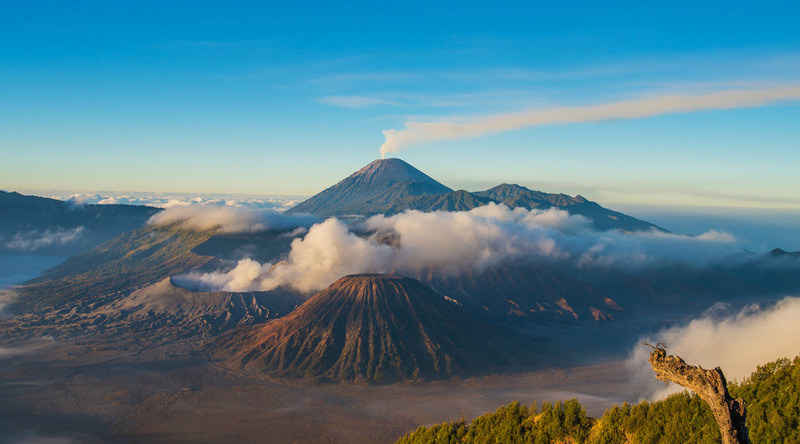 Take a side trip to see one of Indonesia’s most active volcanoes, Mount Semeru. The volcano erupts about every 20 minutes—but don’t worry, its just steam, and smoke, usually. The area around the park is also one of the last remaining significant Hindu communities on the island of Java. Surabaya has several golf courses including Bukit Darmo Golf, designed by Jack Nicklaus II, Yani Golf, which features a crypt as part of the landscape, Graha Famili, Bukit Darmo Golf, Ciputra Golf, and many more. Situated in the Old Town, this stately Dutch colonial-style compound was built in 1862 and is now a preserved historic site. The main attraction is hundreds of girls hand-rolling Indonesia’s most prestigious cigarette, Dji Sam Soe, using traditional equipment.